"Help! 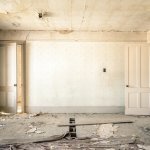 My Last Tenant Trashed My Philadelphia House" - SELL in Philly! To get a fair cash offer for your property, no matter what condition it’s in, just get in touch with us and we’ll give you a no-obligation offer and we can even buy your property from you fast. Click here now and fill out the form or call our office at 215-909-0046 and we’ll get back to you right away.